I use Photoshop quite a lot and for the longest time I didn’t know anything about Actions, but once I discovered their power, I found myself using them more and more. So what are they? Actions are the automated process of tasks so that you can apply the same settings across a batch of files with ease. 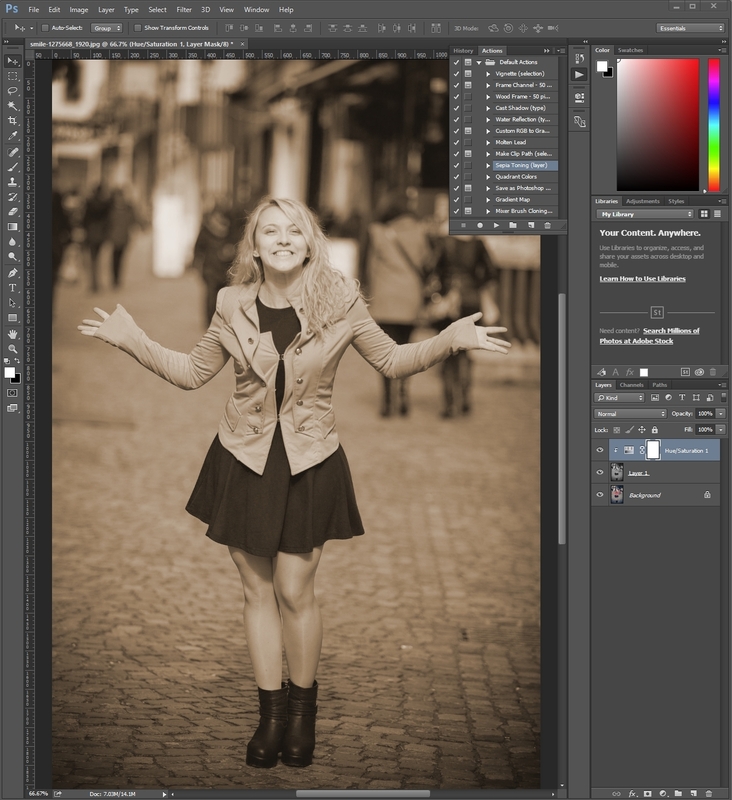 They can be something as simple as image resizing to more complicated complete image overhauls (changing expose, levels, adding filters, applying effects etc). For this article we will just take a quick look at some of the Actions Photoshop provides as standard, before moving onto setting up our own Actions in a separate article. 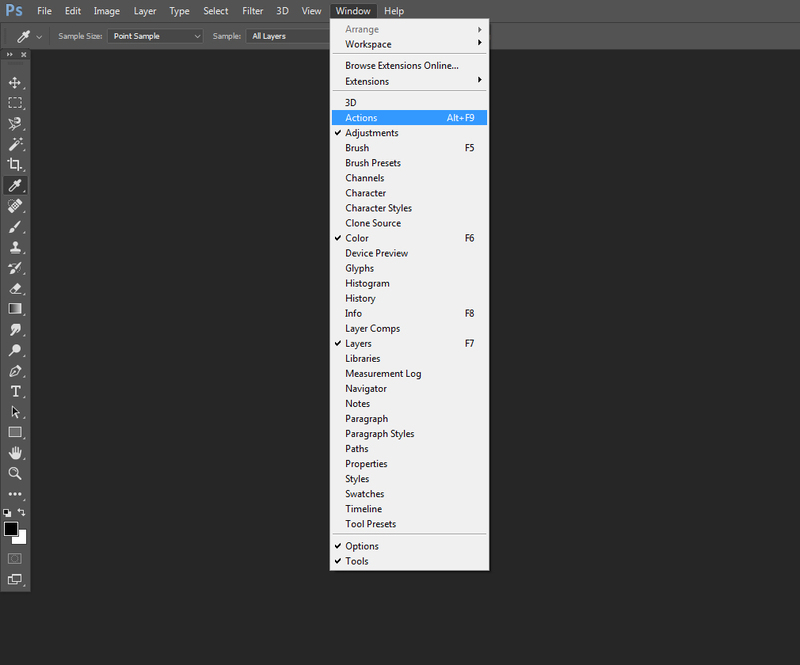 With Photoshop open you want to make sure your ‘Actions’ window is open by going to the Window menu at the top and clicking on Actions. This will bring up the Actions window. Alternatively, you can press Alt+F9 for the same result. 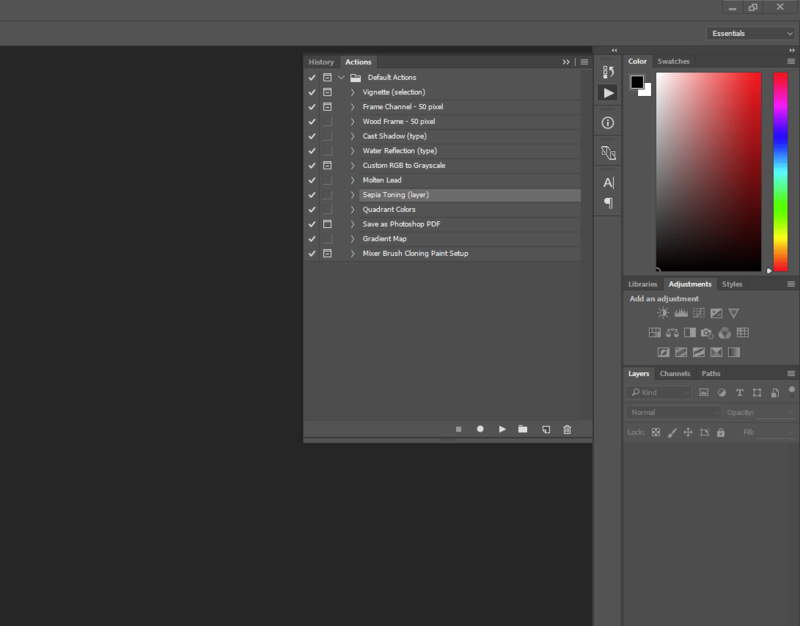 You can see in this window that Photoshop provides various Actions for you. Let’s try one out. Open up an image of your own, or download this example from Pixabay. From the list of Actions let’s just choose ‘Sepia Toning’. Click on the name to select it. If you want to see the processes that make up the Action, you can click on the arrow next to the name. At the bottom of this window you’ll see the symbols for STOP and PLAY. Click on the PLAY symbol to start the action. After the process completes, you should have an image that looks like the example on the right. 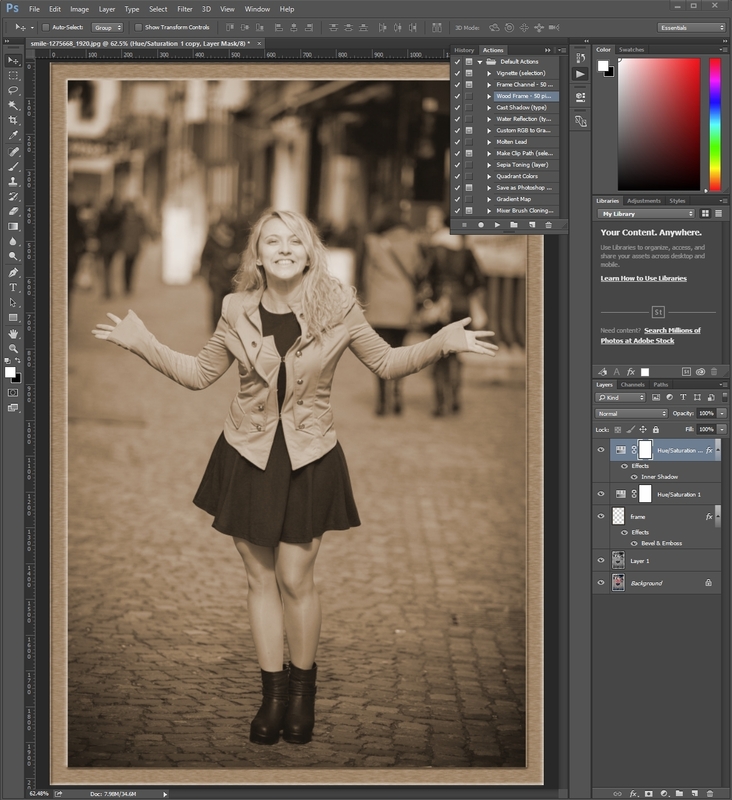 In the right hand ‘layers’ column you’ll be able to see that the Action created a new layer and then applied a Hue/Saturation layer to achieve the Sepia Toning. Next let’s add a frame. First, click on Layer 1 in the ‘layers’ pane. Next, let’s click on the Action ‘Wood Frame’ and press the PLAY button. If a notification comes up saying “Image size must be a minimum of 100 pixels wide and tall” you can click continue. Once the process is complete you should have an image looking like the one on the left. So as you can see, Actions can be useful for automating simple tasks such as adding Sepia or adding a frame, but they can also be set up to automate far more complex tasks. In our next article on Actions, we’ll take a look at setting up our own Action to automatically resize a selection of images. ← Previous Previous post: How do I hide my friends on Facebook?